In recent years, foreign students have streamed into American universities, their numbers nearly doubling in the last decade. About half of all international students are coming from Asian countries, many of which have been subject to heavy recruitment from American colleges. Taking advantage of the popularity of an American education, a new industry has sprung up in East Asia, focused on guiding students through the U.S. college application process with SAT preparation courses, English tutors and college essay advisors. But not all college prep companies are playing by the rules. In their investigative series for Reuters, a team of reporters found that foreign companies are increasingly helping students game the U.S. college application process. Some companies have leaked questions from college entrance exams to their students before they take the test. Others have gone so far as to ghostwrite entire college applications and complete coursework for students when they arrive on campus. We spoke with Steve Stecklow, one of the reporters on the team, about what they uncovered. The surge in international student enrollment is partially driven by American colleges’ recruitment. Stecklow: The beginning really starts with the American colleges. Over the years, they’ve made a consistent effort to seek out students overseas who could pay what I would say is full freight -- they don't require scholarships. They tend to follow the money. Years ago, they would go to places like Kuwait and Saudi Arabia. More recently in the last four or five years, they've really homed in on China, South Korea and other parts of Asia. As more and more students were being recruited, an entire industry sprang up both in South Korea and particularly in China, of companies whose business is helping kids get into top American colleges. I spoke with a woman who counsels students in one city near Shanghai, and she told me that there were 50 companies alone in that one city that specialized in helping kids get into American colleges. 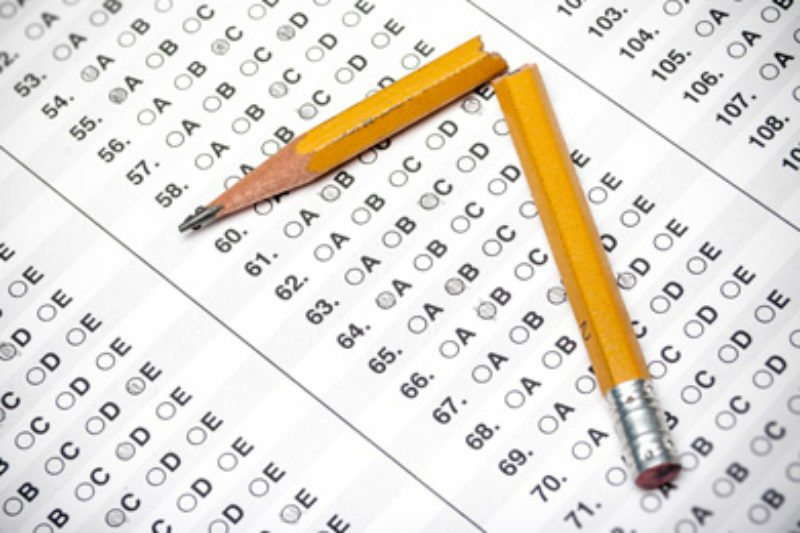 It’s surprisingly easy for foreign companies to game U.S. college entrance exams. Stecklow: The problem has been that the College Board recycles its tests. It gives them first in the United States, and then it gives those same tests, or parts of the same tests, later overseas including Asia. One of the issues is that American kids, as soon as they take the test in the States, often go online to websites such as College Confidential or Reddit, and apparently being nervous about how well they did or whether they got the answers right, they essentially with their friends recreate the test. They say, “What did you get for this question? What was your answer for that?” These websites stay up for a while, but these Chinese companies are monitoring this in real time, and they're harvesting this information, they're collecting it, and they're later compiling it into booklets, which they call jijings in China, that they give to their clients before they take the test. Even though College Board, the maker of the SAT, was aware that their test had vulnerabilities, the company still used the exam. Stecklow: We got hold of a PowerPoint presentation -- an internal one for some of their top executives -- which showed that they knew that a large number of their tests had leaked. In some cases on Chinese websites, in some cases in test prep centers in South Korea, and they opted to give them anyway. What their solution was: After doing a marketing analysis to see what it would cost to throw away the test, they decided to simply not give the test where they knew it had leaked, but give that test in other countries, which when you think about it, seems kind of ridiculous given the internet and that some of these tests were available online, so it doesn't matter what country you're in. That was a conscious decision that they made after determining how many millions of dollars it would cost, which turned out to be not much to come up with new tests. Listen to this podcast on iTunes, SoundCloud or Stitcher. For more, read the Reuters investigative series, As SAT was hit by security breaches, College Board went ahead with tests that had leaked.